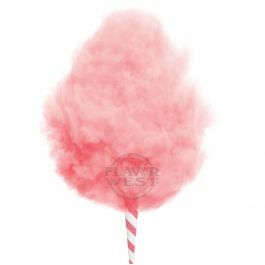 This is a super delicious cotton candy flavor widely use for candy production. Enjoy the taste and aromatic sweetness burst in your mouth. Type: Cotton Candy Water Soluble Flavoring. Ingredients: Natural and Artificial Flavoring, Propylene Glycol. USP Kosher Grade Flavoring. Usage Rate: 15-20% for E-use. Flavor suitability: beverages, desserts, drinks, candies, caramel, baking recipe and more. Specific Gravity: 1.05 No Refunds on Flavoring. This is a great candy flavor, but also a wonderful sweetener for those fruity flavors which need a sweet kick.